As an IT service provider, ra Information Systems have been in existence for over 25 years. IT providers are easy to find in today’s market, so we work hard to make our services stand out from the rest. We have a diverse range of in-house expertise, ranging from software development through to infrastructure design and internet connectivity, we have what it takes to listen to your needs and requirements to get your business where you want it to be. 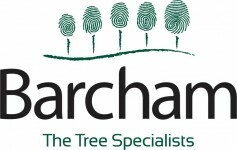 Barcham Trees in addition to being the largest container tree nursery in Europe are now the only nursery in Europe to offer independent verification as to the physiological health of their trees. Using leaf fluorescence, chlorophyll content and electrolyte leakage as measures, over 45,000 trees have been tested over a three year period. At a time when tree health is in the spotlight such testing is another assurance of tree quality, health and fitness for purpose. Wyevale Nurseries of Hereford is a family-owned, wholesale production nursery. As one of the `Top 10` nursery stock growers in Britain, Wyevale is unique in that it produces the whole range of nursery stock, from field-grown seedlings and transplants through container ornamentals to both field and container-grown standard trees and specimens. Wyevale Nurseries supplies standard trees to a wide range of customers nationwide; recently supplying trees to the Titanic Visitor Centre in Belfast, is a key supplier to university development projects at Bath, Southampton and Nottingham and to several London Boroughs. We also supply trees to a number of landscape contractors working on behalf of local authorities. In production are exponents of using British provenance seed sources, growing to a high standard with a team of dedicated, long-serving, growing, sales and despatch staff and are committed to ISO 14001 Environmental Standards. “Arbortrack is a complete computer based tree and vegetation management system, which allows for the capture of a full tree inventory including any maintenance requirements and provides all the data needed to cost effectively manage your arboricultural assets. 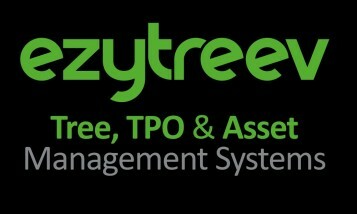 It maintains a comprehensive history enabling full tree audits to be accurately undertaken. There are also a number of risk assessment options including Quantified Tree Risk Assessment (QTRA). It is GPS enabled and will receive and store laser measurements, photographs, Picus and Resistograph records. 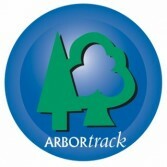 Arbortrack uses its own mapping engine, which is compatible with Corporate GIS systems such as ESRI ArcView or MapInfo. It has a full customer enquiry package together with the ability to produce individual, or macro tree reports to facilitate tree strategies. Its financial and budgetary control package has the ability to produce individual or multiple works orders. Hillier is recognised as the UK’s premier producer of trees for the trade professional. We are specialist growers, supplying trees all year round from either our field or container nurseries which cover an area of 750 acres. We are committed to providing high quality, professionally-grown trees suitable for landscapes and urbanscapes, supported by excellent customer service. Our extensive range of trees includes the largest choice of semi-mature trees in the UK; a range of multi-stems, including specimen trees and shrubs and ‘designer’ trees including cube-headed, pleached, parasol and architectural shaped trees in a variety of forms. We also offer instant hedging and archways, single specimens for focal points and courtyards and an extensive selection of impact trees for larger projects. Our dedication to innovation is demonstrated by the market-leading ‘Streetwise’ range, for urban projects. We are also responsible for introducing Ulmus New Horizon, the UK’s best-selling elm, which is 100% resistant to Dutch Elm disease and supplied microchipped with an individual certificate of authenticity. Founded in 1992 Greenblue Urban was set up to research and provide solutions for assisting trees in their battle to establish in urban spaces. Global distribution and continuous product development ensures that specifiers and clients alike are using the best tree pit package products available in the world. The GreenBlue Urban ArborSystem brings together the key elements of successful tree pit design and simplifies the planning and installation process. Landscape professionals can combine root management, structural soil components, aeration, irrigation and chose an appropriate above ground surface grille and vertical guard in a single package.